The first TecAlliance Workshop Days ‪were held on 27 November and 10 December 2015 at the TecAlliance site in Weikersheim. 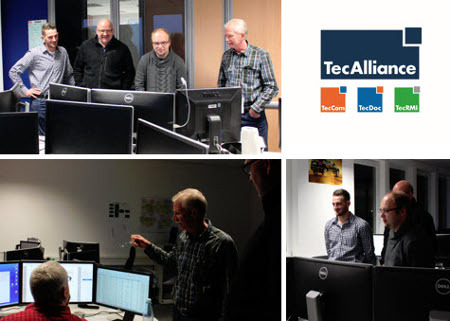 Impressions of the first TecAlliance Workshop Day on 27 November 2015. At 4 p.m. on 22 January 2016, mechatronic engineers and vehicle technicians looking for a professional challenge outside the workshop will once again have the opportunity to get to know the work of TecRMI at the Weikersheim site without obligation. You can register for these events on the TecAlliance website.